The first step to improve the relevancy of your next article is to use MORE relevant keywords in the article. Armed with a list of relevant keywords you now know what dots to “join up” as it were. Simplistic method? Sprinkle those relevant words liberally throughout your article until you have joined all the dots -or- force them in where you can. 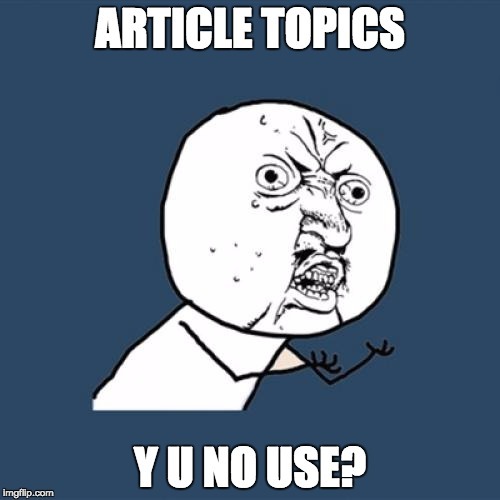 Want article topics at your finger tips? 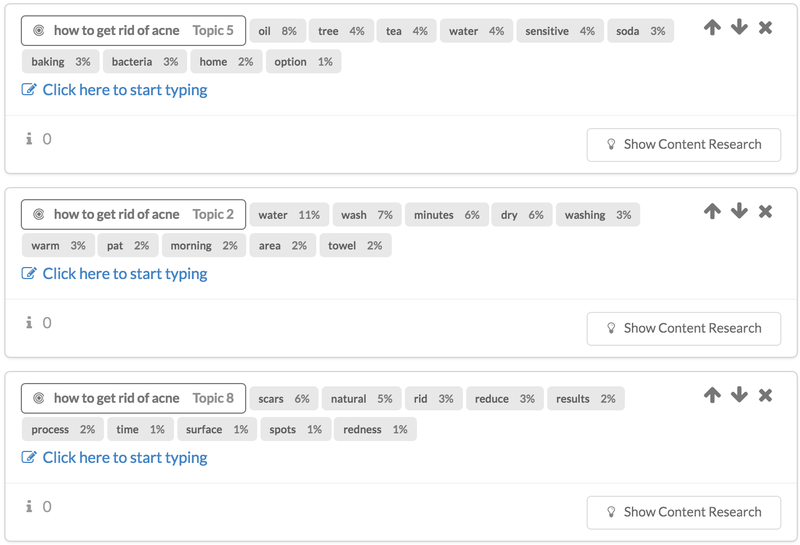 Your list of related keywords can be (and should be) grouped together to form logical article topics! Keywords rarely stand apart on their own and they occur together in logically grouped sets that make out article topics. The keyword list tells us what the top 50 ranking articles in Google are talking about. As you can see in the screenshot, words can be grouped to form article topics. Where a keyword list is just random dots on a page, grouping keywords based on how related they are to each other allows us to see patterns. Patterns that map neatly into article topics! 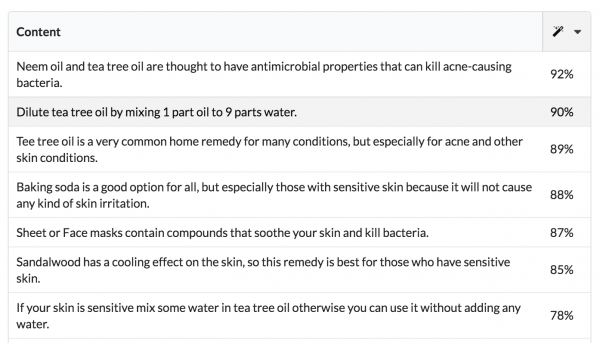 The words tea tree oil, baking soda, home option = Describes typical at home remedies for dealing with acne. 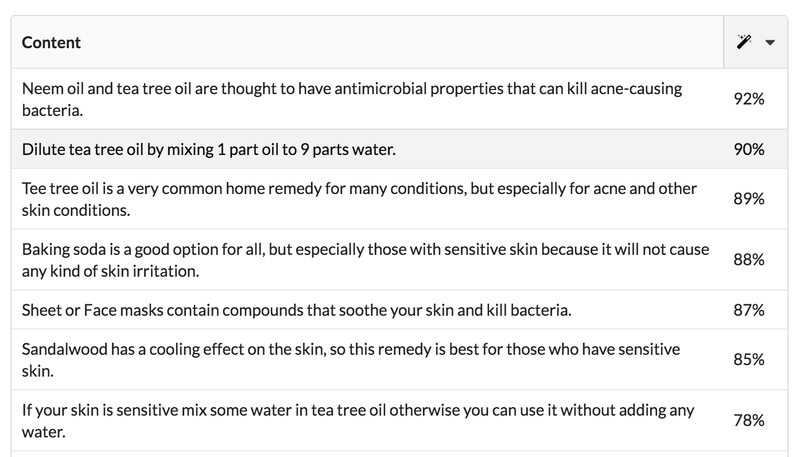 The words water, was, dry, washing, morning = How you should keep your face clean to prevent acne. The words scars, rid, reduce, spots, redness = Typical skin conditions people are trying to avoid/fix when they have acne. 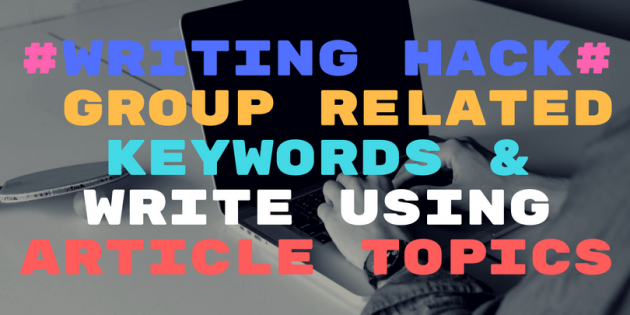 With any list of related keywords, the first thing you should do is think about how to group them together to form natural article topics. Believe or not, with a little bit of auto-magic, it is possible to create those topics automatically using a computer. You don’t need to be an expert on your niche. 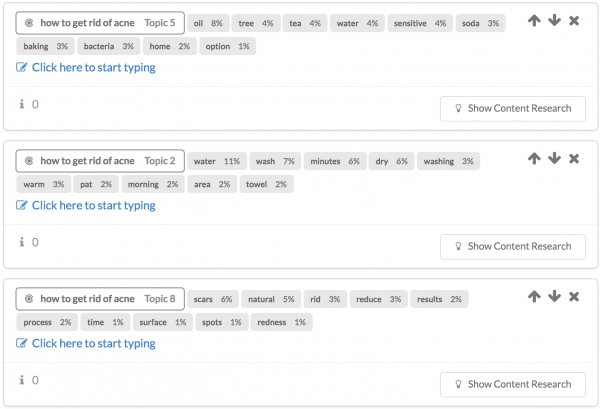 By using Article Insights, it will group your related words into delineated article topics. It will even show you a list of research if you need to kick start your writing process. Tea tree oil & baking soda appear prominently for this topic. Stop trying to “insert” keywords into your articles and get a head start writing with natural article topics.